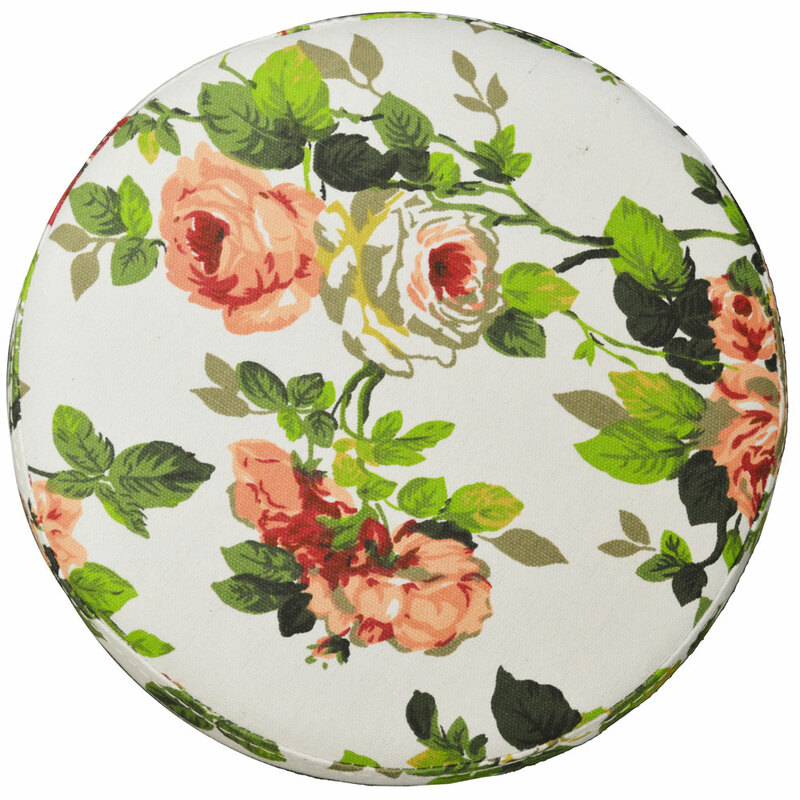 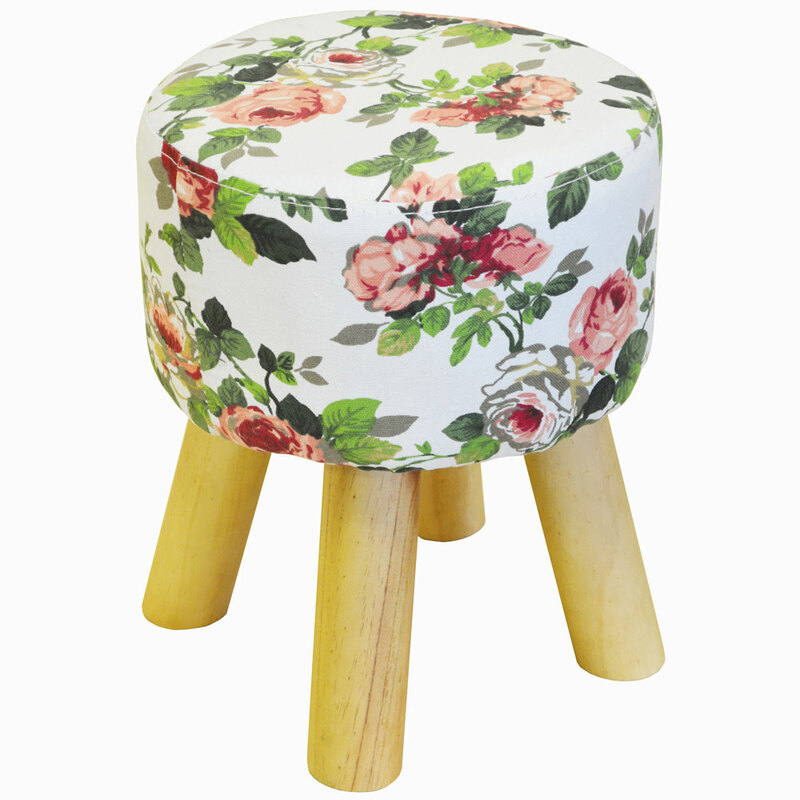 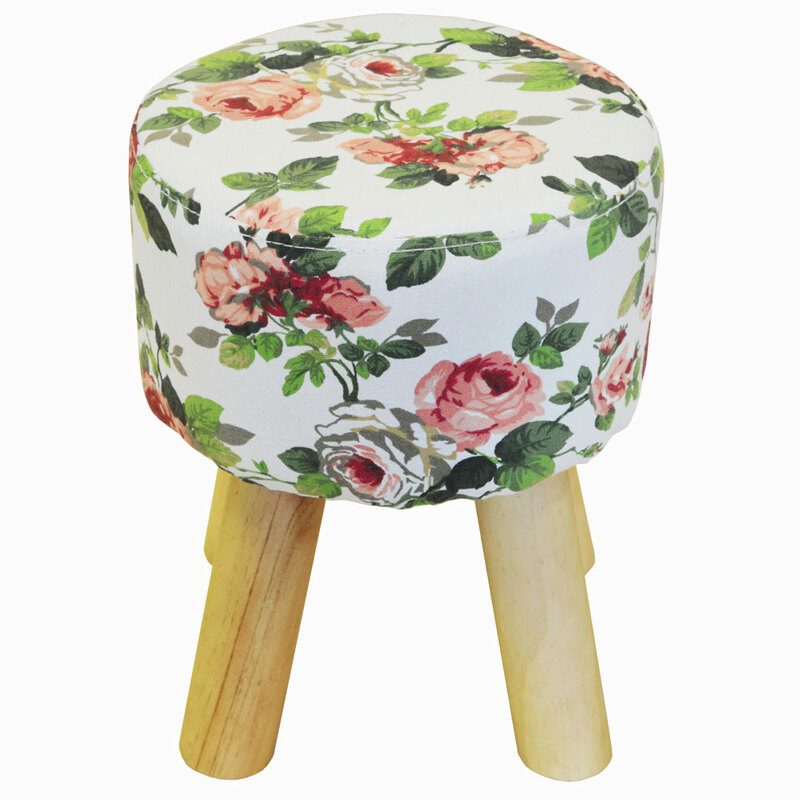 A lovely occasional low stool for all around the home. 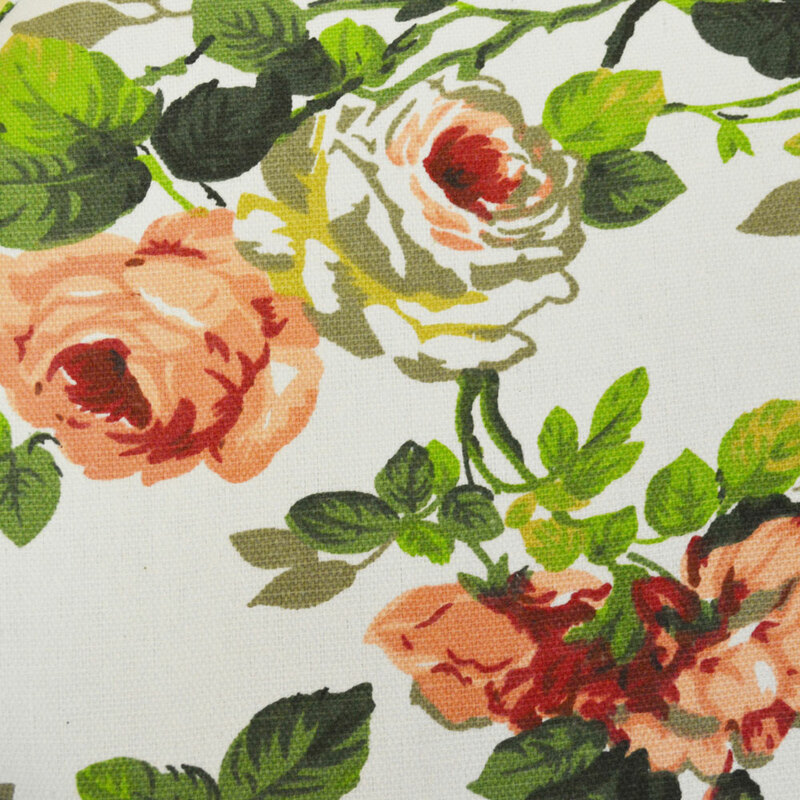 Finished in a white based floral material, with pink rose flowers and fresh green leaves, with padded seating area and solid pine chunky legs with a natural lacquer finish. 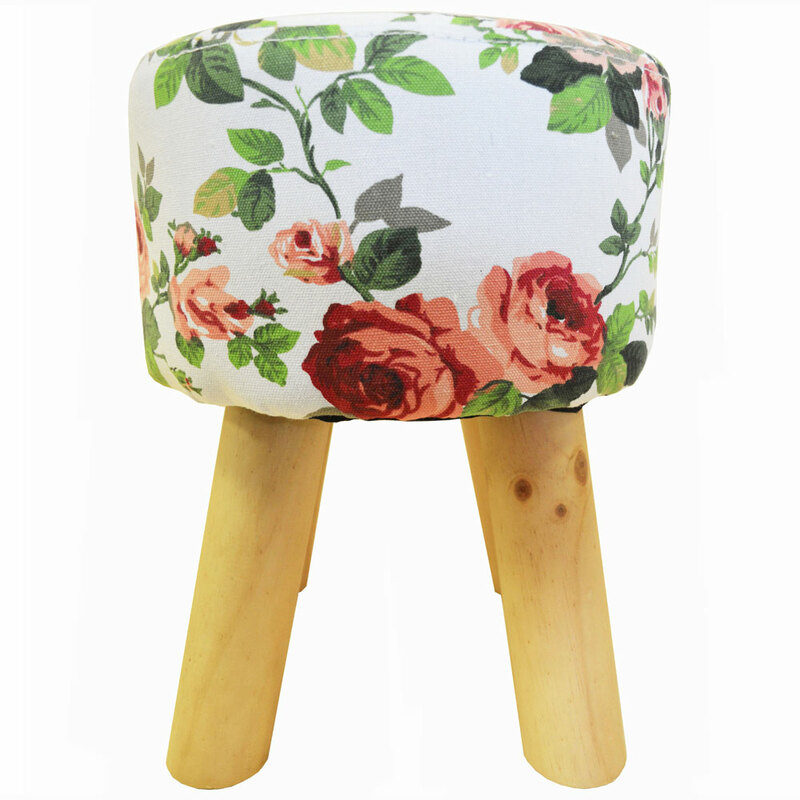 Fully complies with UKFR regulations.